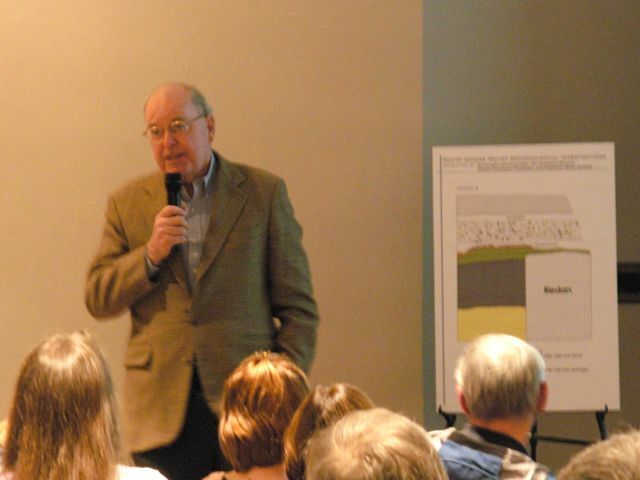 On 30 January 2008 the Mayor’s Walled City Task Force presented an illustrated overview of the recent archaeology at South Adger’s Wharf. 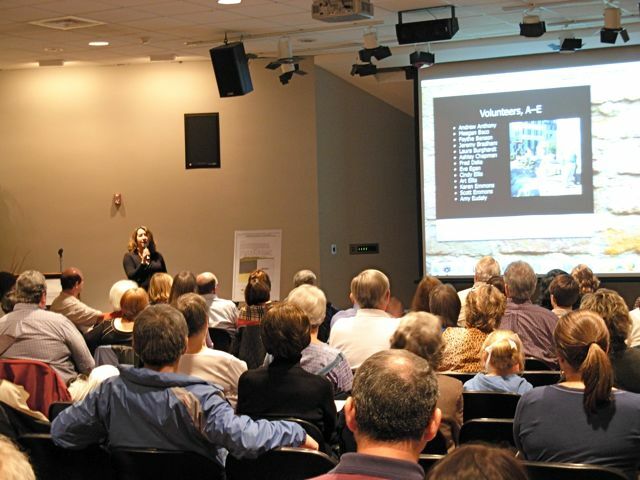 Well over a hundred people came to the Charleston County Public Library’s auditorium to hear about the dig from several of the participants. To open the program, Task Force co-chair Katherine Saunders took a few minutes to acknowledge the sponsors who made the archaeology possible and the volunteers who contributed so much to its success. Without the assistance and enthusiasm of these dozens of people, this long-anticipated project might never have come to fruition. Next, I presented an illustrated historical overview of the redan and Lower Market that once stood at the east end of Tradd Street. 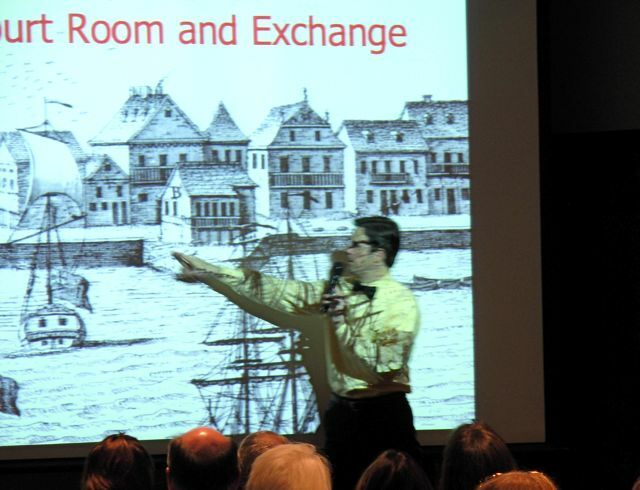 As you can see in the photo here, I also mentioned the building known as the Court Room and Exchange that stood just within the redan between 1723 and 1740. We were hoping to find the foundations building, but our dig site turned out to be about twenty feet north of that structure. Archaeologist Dr. Eric Poplin provided a great illustrated summary of the dig, with special emphasis on reading the layers of soil that we encountered. In the brief period of time since the dig concluded, Dr. Poplin had already prepared some fascinating illustrations of the stratigraphy. His color slides, and the accompanying posters created by the History Workshop, will be included in the final published report of the South Adger’s Wharf dig. Charleston Museum curator of archaeology Martha Zierden took the stage to discuss the collection and curation of artifacts from the recent dig. In addition to her slides and narration, Zierden and her colleague Ron Anthony brought a large number of pottery sherds, bone fragments, and other materials collected from the site. 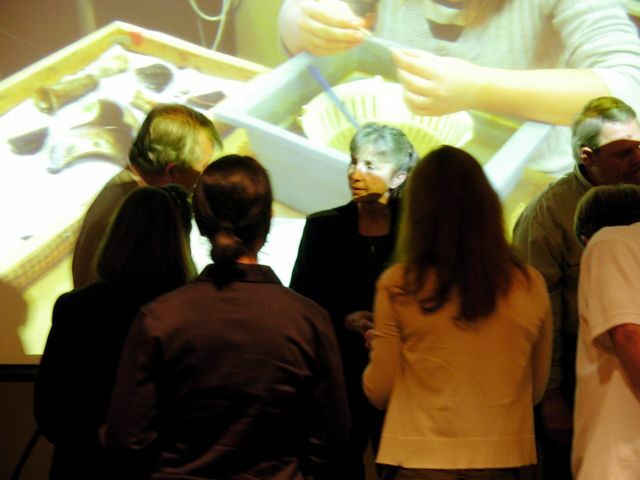 At the conclusion of the program, audience members were invited to crowd around the display table of artifacts and chat with the archaeologists. To conclude the program, Task Force co-chair Peter McGee extended his thanks to everyone involved for their support and hard work, and to the audience for their attention and encouragement. 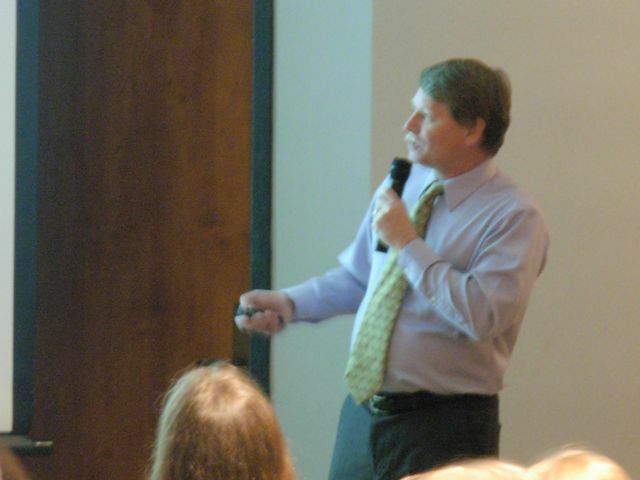 The recent South Adger’s Wharf dig, which uncovered about one-third of the Tradd Street redan, was so successful, Mr. McGee opined, that he hopes the Mayor’s Walled City Task Force will be able to continue its momentum in the coming year and gather support for another dig to uncover the other two-thirds of that redan. I second that proposition! Those of you who were unable to attend this program will be pleased to know that I am currently working on a multimedia encapsulation of this program. The finished product will be made available through this website, most likely as a podcast that can be streamed over the internet or downloaded. Stay tuned for further information!